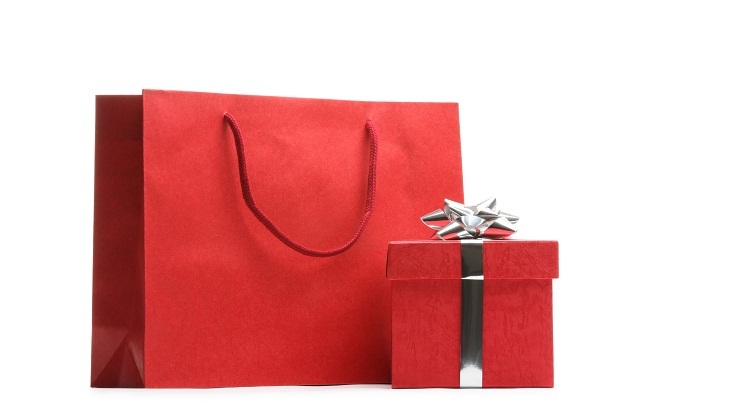 There are two types of holiday shoppers – those who buy gifts online and those who do it the good old-fashioned way. Ever wonder who has the best strategy? If you’re still debating whether to hit the mall or surf deals from your laptop, use our guide to decide whether in-store or online shopping is best for you. It’s a quick and efficient way to order holiday gifts, and since it’s early in December, there’s still time left to make some cyber purchases before Christmas arrives. You have a week or two, give or take. In order to be delivered by Christmas Eve, packages will need to be shipped in about the next two weeks, according to the U.S. Postal Service’s holiday planner. The Postal Service has released mail-by dates for the holiday season, and while these dates are intended to inform those who will be sending gifts this holiday season, they can be enlightening for those who will be receiving online orders as well. Domestic USPS mail-by dates for expected arrival by Dec. 24 are: Dec. 15 for standard post; Dec. 20 for first-class mail and priority mail; and Dec. 23 for priority mail express. Use these dates as a guide when making online purchases and remember to check the shipping deadlines for whatever retailer you may be shopping at, as dates differ for each store. If you’re pushing it too close, you may risk not receiving your gift in time. At JCPenney, for example, in-stock orders delivered within the continental United States should arrive by Christmas if placed by Dec. 20 with standard delivery. Most orders placed before 2 p.m. Central time Dec. 23 will arrive before Christmas if shipped via expedited delivery. If you act early enough and you’re planning on making a purchase before the aforementioned dates, shopping from the comfort of your own home may be the best way to go this holiday season. You’ll avoid the crowds. If you value convenience, shopping online is a largely hassle-free alternative to packed retail stores. You won’t have to stand in any lines or maneuver your way past any fellow shoppers. You can shop whenever you want. Since the Internet is never closed, you can set your own hours when shopping online. If late nights or early mornings are the most convenient for you, you can buy gifts online – even if store locations haven’t opened their doors yet. You can compare prices with a click. Online, hopping from one store to another is as simple as opening a new window in your browser. This means you can quickly and easily do some research to ensure you’re getting a competitive price on whatever it is you may be purchasing. Don’t forget the value of using online coupon codes, too. Despite these benefits, virtual shopping isn’t always the best option for every type of consumer. Before deciding if you’ll be browsing gifts online or in-person, you’ll want to take the advantages of in-store shopping into account, too. (Hint: There aren’t any shipping deadlines to remember). You can see and touch the products. Depending on the type of gift you’ll be purchasing, you may benefit from seeing the item in person. Shopping in-store will allow you to eyeball the actual size and color of clothing, electronics, household items and more. You won’t have to pay for shipping. If you purchase gifts from a retail store, you won’t have to pay for the cost of shipping them to you, as you likely would online. Some retailers do offer free shipping on online orders above a certain amount, but if your purchase will be less than this minimum, you may consider picking it up in-store instead. You’ll get your gifts instantly. There’s no waiting involved when you buy products at brick-and-mortar locations. You can bring whatever you purchased home with you right away, meaning you’ll be free to wrap it up and place it under the tree as soon as you’d like. The immediacy of buying in-store may also help eliminate the stress involved with anticipating the arrival of a late-purchased gift. With all of this in mind, choose which shopping (and shipping) method fits you and your gift-buying needs.